Begin or renew your North Carolina-Triangle Chapter sponsorship. Join us to hear special guest speaker Allison Paradise, who will present an introductory session on the My Green Lab program. Locations in Raleigh, Durham, and Chapel Hill to be announced shortly. Read more. 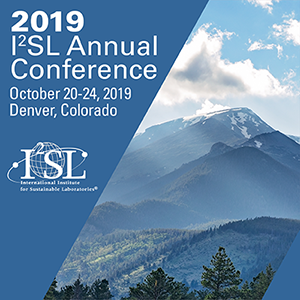 The mission of the I2SL North Carolina–Triangle Chapter is to foster collaboration, education, and innovation for designing, operating, and sustaining safe and efficient laboratory environments for the research, education, and healthcare community in the Research Triangle, North Carolina, region. Please join the I2SL Triangle Chapter at locations throughout the Triangle on the afternoon of May 15, as special guest speaker Allison Paradise will be presenting an introductory session on the My Green Lab program. Ms. Paradise is CEO and Founder of My Green Lab—a non-profit certification program providing support for equipment selection, energy efficiency, water efficiency, waste, chemical reductions, and financial incentives. This event will speak a wide range of lab personnel and planners—from scientists to managers to facilities representatives to designers. Following the presentation, attendees will have the opportunity to discuss applications and lessons learned from their own lab experience—hoping to help build a stronger sustainable lab community across the Triangle region. Locations in Raleigh, Durham, and Chapel Hill to be announced shortly. Please contact the I2SL Triangle group with any questions. Call us at 919.606.6619 or email us to learn more about or become a Member of the I2SL North Carolina–Triangle Chapter. 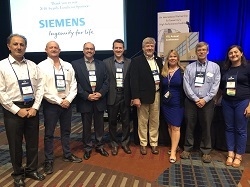 The 2018 Annual Conference in Raleigh was a great success. Congratulations to the NC Board members for all their effort!